Wow the temperature was soaring today, so Tania decided it was water play time in the sand pit area. 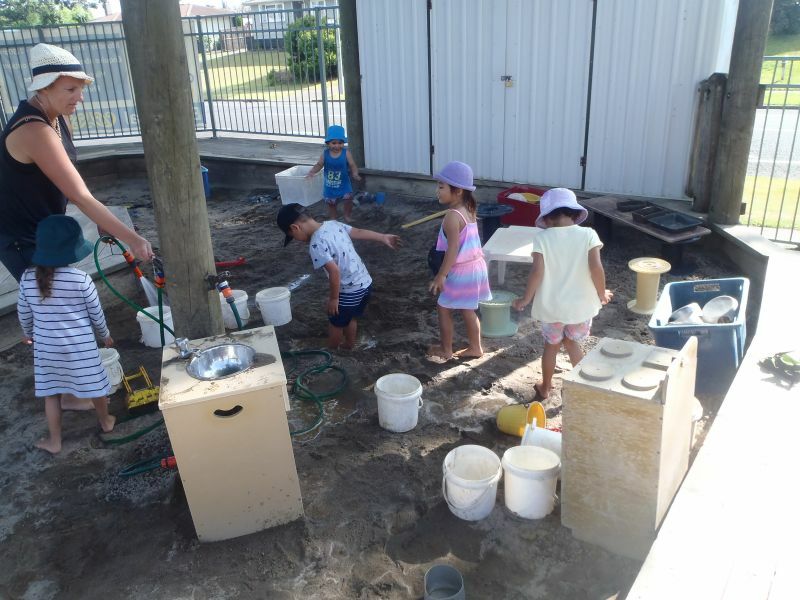 We were making mud cakes, sandcastles and puddles. Puddles are great as you can jump in them to cool down. When the water disappeared, the sand was perfect for making great sandcastles. As we promote and encourage sustainability, once we have finished with our water trough, we water our gardens so that we can keep our kindergarten looking nice. With this hot weather, the children are choosing to wear their hats to protect them from the sun. Just remember with this fabulous hot weather, we need extra clothes in our bags as we get very wet and messy with outdoor sand play.